There is a ski resort for every budget in Europe - from the huge, more expensive resorts of the Swiss Alps to the smaller, affordable resorts of Eastern Europe. Downhill skiing has a long tradition in the Alpine countries of Austria, Switzerland, Italy, Germany and France. There is good skiing, too, in the Scandinavian countries, Norway, Sweden and Finland. More recently other European countries have developed ski areas such as Spain’s Sierra Nevada region, Andorra, Estonia, Romania, Czech Republic and Bulgaria. 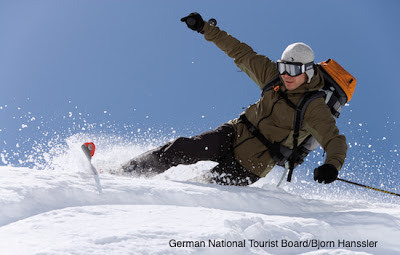 Even Cyprus has skiing from January until the end of March on the slopes of Mount Olympus. While these newer resorts do not boast the vertical or acreage of the older resorts, they often appeal to families and beginners who do not need a mega-resort to meet their needs. The major resorts of the Alps offer hundreds of slopes over towering peaks with vast lift systems and easy access to “off piste” or backcountry areas. The Dolomiti Superski in the Italian Dolomites, for example, includes 1200km of slopes covering an entire province. Verbier, Switzerland, encompasses 95 lifts over four valleys and 100 runs. Some ski regions straddle country borders such as the Portes du Soleil with skiing around 12 resort villages, four in Switzerland and eight in France, from the same lift ticket. Top resorts in Switzerland include St Moritz, Zermatt, Davos/Klosters and Mürren - all boasting massive networks of ski runs for every standard, ski schools and terrain parks as well as authentic mountain culture, great food and topnotch shopping. Cortina d’Ampezzo is the most elite ski resort in Italy, attracting jet-setters and aristocracy and has also been the scene of many movies. In the 1981 James Bond film, ‘For Your Eyes Only’ Roger Moore is shown being chased on skis there; much of the 1963 ‘The Pink Panther’ was filmed there as well as several segments for ‘Cliffhanger’. Families with teens should note that 16 year olds are considered adults for lift ticket pricing in Italy. French resorts have great skiing and dining but vary considerably in terms of character and culture. There are many old mountain villages which have developed gradually into prominent ski areas (for example, Morzine, Val-d'Isère and Megève) as well as more recent, purpose-built resort complexes such as Avoriaz, La Plagne, Tignes, and ValThorens. Chamonix is one of its most famous destinations and the Trois Vallées - which includes Méribel, Courchevel, Val Thorens and Les Menuires - is a very popular snowsports playground. Austria is home to many World Cup and Olympic champions. Its top resorts include St. Anton - famous for KrazyKangaruh après-ski - and Kitzbühel where around 80,000 people watch the World Cup downhill race every January. 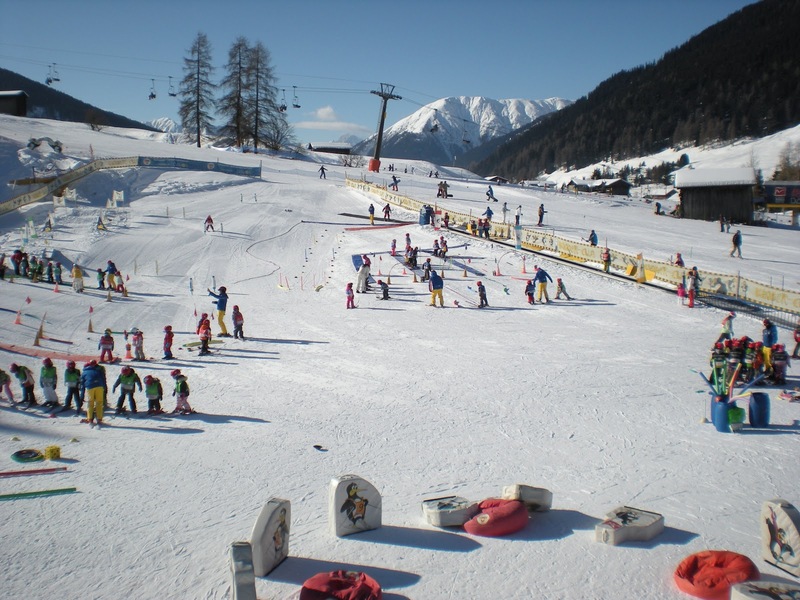 There are many smaller, family-friendly resorts such as the Tyrolian village, Mayrhofen. 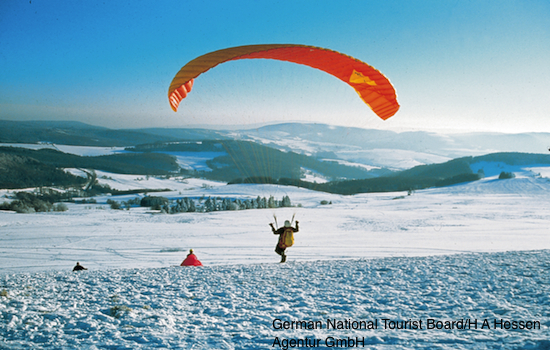 The main ski resorts in Germany include Garmisch-Partenkirchen, Berchtesgaden, Mittenwald, Oberstdorf, and Lenggries. Garmisch-Partenkirchen is the most prominent area for tourists as well as being a regular host to World Cup races. 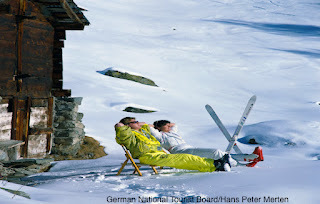 European skiing is notable for its craggy mountains, greater vertical drop than North American resorts, high quality on-mountain lunches with good local wines, great après-ski, and mountain guide service taking advanced skiers to exciting “off piste” areas. With insurance coverage different in each country, it is best to take insurance cards, check with providers what is covered and if necessary take out extra holiday medical insurance. 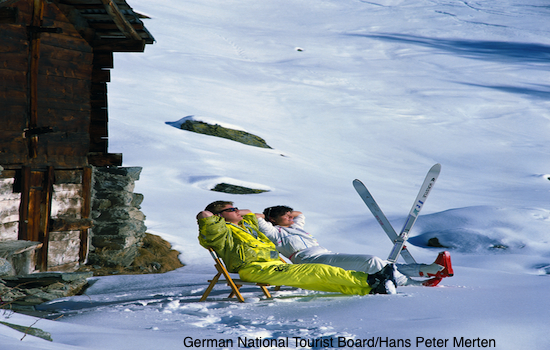 Most European skiing is open from the end of November until mid to late April. Levi, the biggest resort in arctic Finland, has skiing into mid May. And the Swedish resort, Riksgränsen features skiing in midsummer under the midnight sun until the end of June. One thing to remember: most European onhill eateries frown upon bagged lunches. There are occasionally picnic areas inside lodges but these tend to be for tuition groups. So, if you bring your own sandwich, make sure you eat it outdoors and if you are on a restaurant deck at least buy a drink.